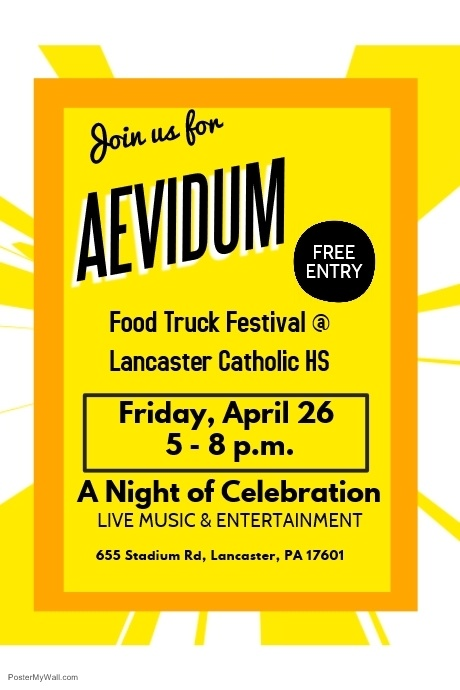 Lancaster Catholic High School Aevidum will present a Food Truck Festival on April 26th at Crusader Stadium from 5-8 PM. The Food Truck Festival will feature 717 Taco, Dougheads Stuffed Waffles, Sittin Pickin Chicken, Buzz Rock n’ Roll Delicatessan, and Scoops. The Festival will feature corn hole and ladder ball, hair braiding, face painting and live music. MC’s from our Broadcasting Team, Herbie the Love Bug, and appearances from other special guests. The culmination of the festival will include the revealing of our “Chain Reaction,” a paper chain that will stretch from end zone to end zone and represent good deeds completed by our faculty, staff, student body, and guests at the festival. 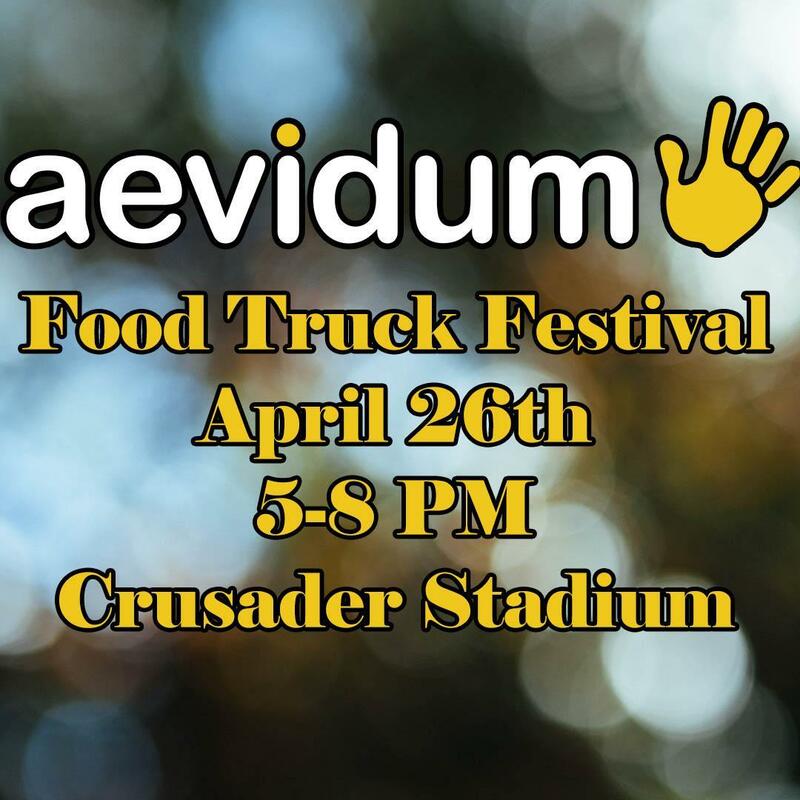 In fulfilling the mission of Aevidum, the festival was created to raise awareness for teen depression, anxiety, and suicide prevention. Informational materials and merchandise will be distributed during the festival.